The new Mexican channel required an end-to-end continuity automation solution able to cover the whole workflow, from the files and video export until they were sent to servers. It was also required that the content might be geographically segmented and distributed to more than 40 regions. 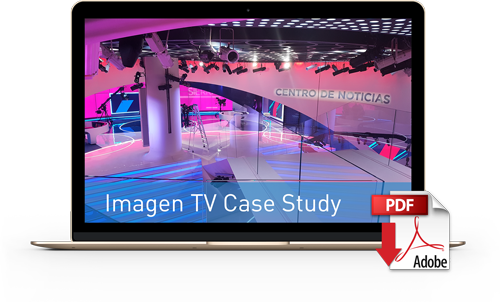 Thanks to VSN, the start of Imagen Televisión broadcasts has been a success. The configuration of the different systems has allowed the channel to reach up to 60 cities through 123 stations, either as a single programming or in a segmented form, which has allowed them to reach up to 70 million viewers. With the instalation of two continuity systems in parallel the broadcasting has been guaranteed; also, they control the programming and the territorial opt-outs, sending the signal through SCTE-104 to each regional receiver. The installation of this product allow to allows to fulfill the legal obligation to to preserve the recordings of emissions for two years and also makes it possible to obtain reports about the number of advertising passes.